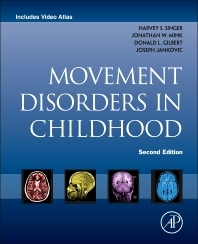 At Cincinnati Children's, Dr. Gilbert directs the Movement Disorders and Tourette's Syndrome Clinics, which specialize in evaluation and pharmacologic treatment of tics, chorea, tremor, dystonia, stereotypies, ataxia, and other movement disorders http://www.cincinnatichildrens.org/service/m/movement/default/. Dr. Gilbert directs or participates in a number of single and multi-center studies into causes and treatments of Tourette's syndrome. Dr. Gilbert also does research into cortical inhibition and neuroplasticity mechanisms in childhood at the Transcranial Magnetic Stimulation Laboratory http://www.cincinnatichildrens.org/research/divisions/n/neurology/labs/gilbert-wu/research/ at Cincinnati Children's.